Tai Chi – Tai chi is an exercise originally developed for self-defense. Now used for stress reduction and improved balance. This class is low impact and safe for all fitness levels. Classes are taught by Bill Graves, Senior Instructor with the Chinese Boxing Institute International. Classes will meet on Tuesdays at 6:30 pm beginning November 13. Class fees are $15 per session. Discounts are available when you pay in advance. For more information contact the civic center at 256-773-2581. Slime Class- It’s Slime Time!! Do you love making slime? On November 19 from 10-11:30 am we will be making 3 different slimes at the civic center. The cost is $15 and this class is open to boys and girls in grades K-4. Please call the civic center at 256-773-2581 for more information. Christmas Craft Night- Paint your very own vertical porch sign on November 27 at 6pm. The fee is $25 per project. The signs will be 10 in. wide and 5ft tall. You must register and pay no later than November 23. For more information, please call the civic center at 256-773-2581.
Letters to Santa- This is the perfect opportunity to get your letter to Santa! We have a direct connection with the big guy! We will forward your letter to Santa and he will personally respond. (Please enclose a stamp with your letter.) All letters are due by December 7 to allow Santa time to answer. Teachers, if you plan to do this as a class project, please have the letters to the civic center by December 3. Pool Pass Sale – We are having a one-day pool pass sale on December 11 from 8AM-8PM. If you’d like to give the gift of fun this year, here’s your chance! 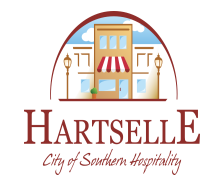 We are offering season passes for the Hartselle Aquatic Center at a discounted rate of $70 for one and $35 for each additional in the household. Souvenir cups will also be available for purchase. The cups are $15 for one or two cups for $25. These rates are only good on the pool pass sale day. We will have gift certificates available. purchased at the civic center no later than December 10. Ticket prices include a meal, snacks and a visit from a special guest. Men’s Basketball League- Registration will be held the whole month of January. The fee is $450 per team. All players must be at least 18 years old. Games will begin in February. For more information contact the civic center at 256-773-2581.